Looking for the best business partnerships which improve the professional conditions of its employees has always been an objective for Krion. In this sense, the furniture and wood sectors have become a very relevant environment for the company. The similarity of the treatment between wood and the mineral compact, makes Krion an interesting business line for joiners and contract companies. 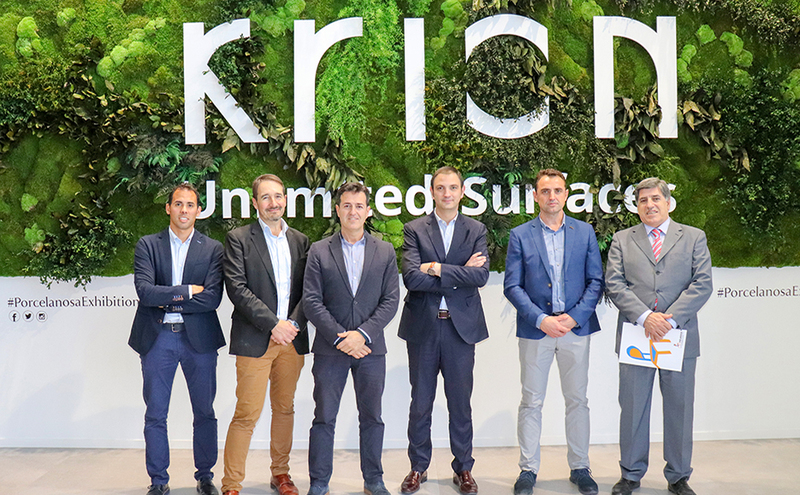 The reciprocal interest of both parties has led to an alliance being formed between Krion and FEVAMA, the association of furniture and wood in the Valencian Community. This agreement has been created with the aim of creating professional synergies, as well as agreements on collaborations of various kinds which benefit all the different parts of the production chain in the sector. The alliance includes AVIMA (the Valencian Association of the Furniture and Allied Industry) and ASEMAD (the Association of Joinery and Allied Companies in the Valencian Community), which are leading associations in the wood industry. The first course of action for this union will be focused on introducing Krion to the entrepreneurs and associates from FEVAMA. Informative meetings and training will also be set up in which company professionals will show the material’s economical, aesthetical and functional possibilities and advantages. On May 15, the " Business meeting for professional joiners, architects, decorators and interior designers" will be held. There, woodwork professionals will meet to get to know and share the latest innovations in the sector. Krion will have an active part to play through a presentation. As an important event, the meeting for the FEVAMA Executive Committee at Krion's headquarters should be noted, which will take place over the coming months. For Krion, this partnership means that joiners, architects, designers and interior designers will be offered unbeatable conditions in relation to: business, support, advice and service. An important step in the company's quest to improve the welfare of all the different parties involved in the creation of a project.